was: $2000.00 now: $1400.00 save 30% Please note that sale items may only be returned within 14 days of receipt. Please check carefully to ensure that your sale item is suitable. 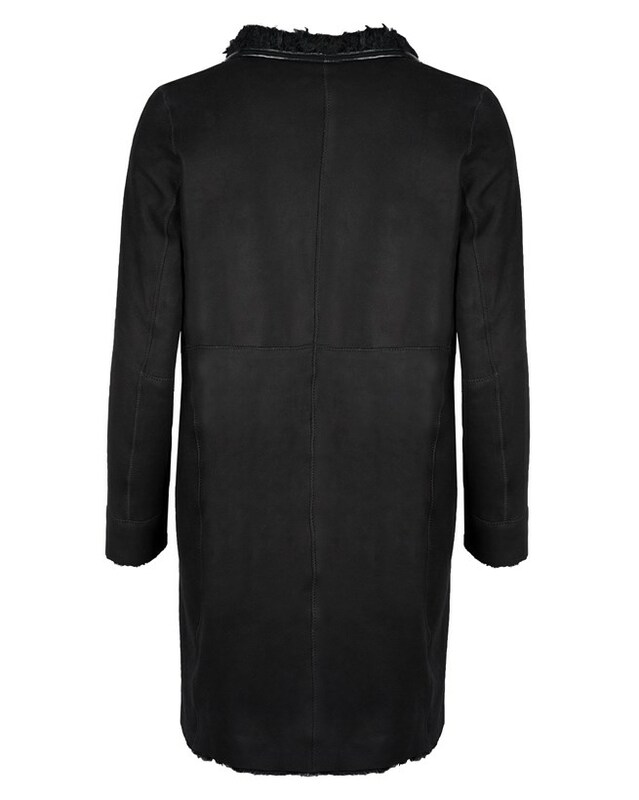 Designed exclusively from us by renowned shearling designer Karl Donoghue. 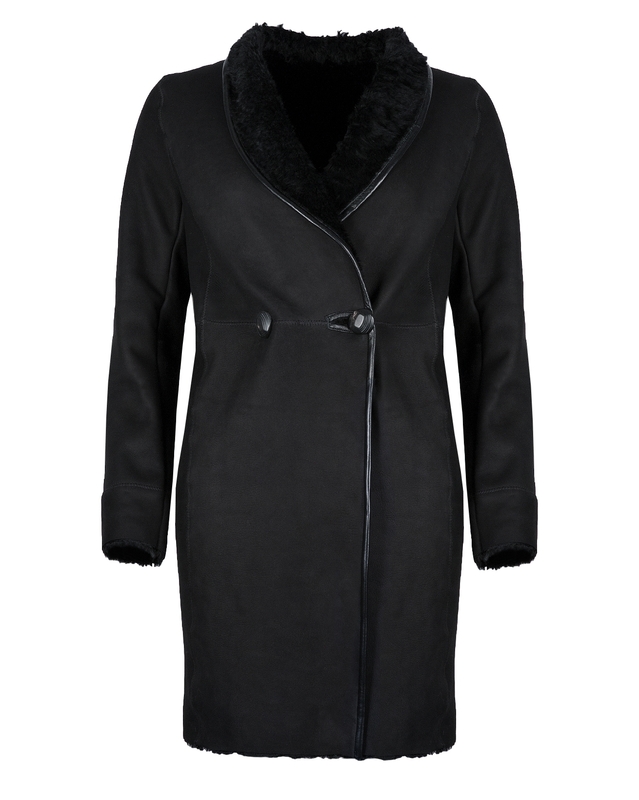 The perfect length to wear over a dress or suit, ideal for town or city. With button fastening and leather trim.